We’ve been looking for a new home for a while now, but needed to find just the right location. 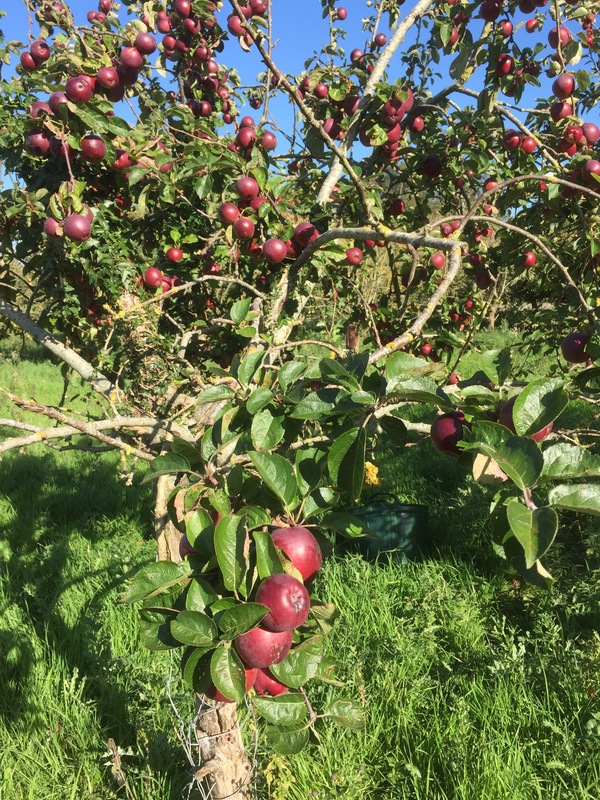 We’ve struck lucky here with a rural location just outside the town where our cider will mature in the proper location. We have evenings planned down here testing and putting the world to rights. 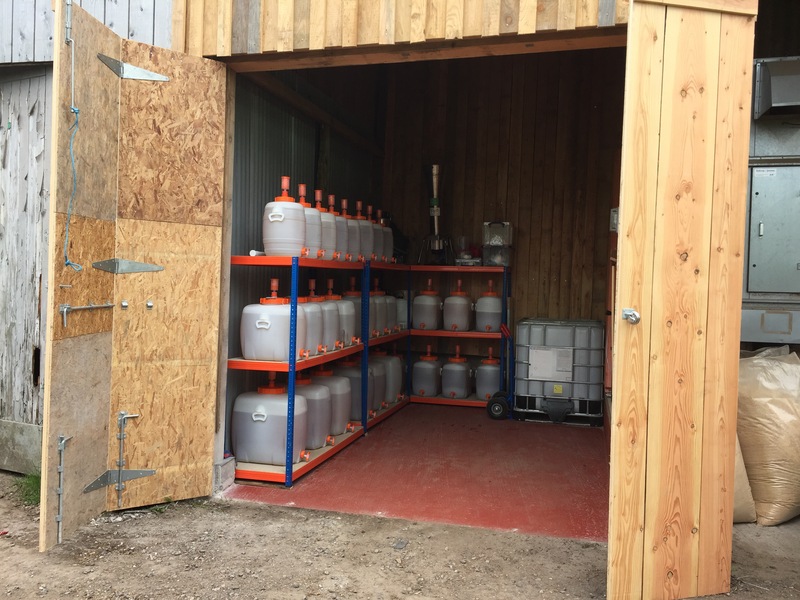 We’ve already moved the cider in, and racked it. 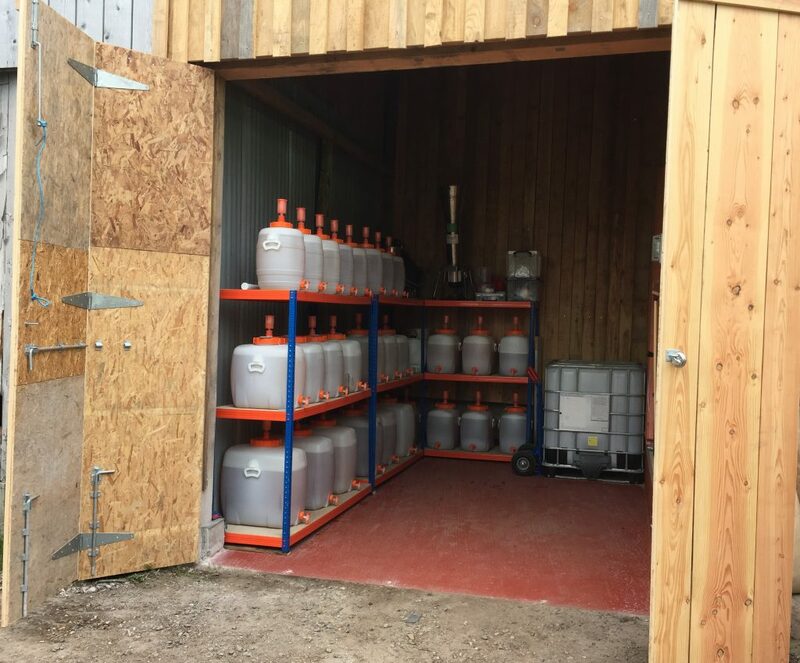 We’ve also moved our new IBC in for blending (1000 ltrs at a time) and Mrs Miggins, the apple mill. We still have Burt and Ernie (the presses) to moved just a little work to finish – work surfaces, sink etc. This place will let us press and ferment, rack and blend all in one location. 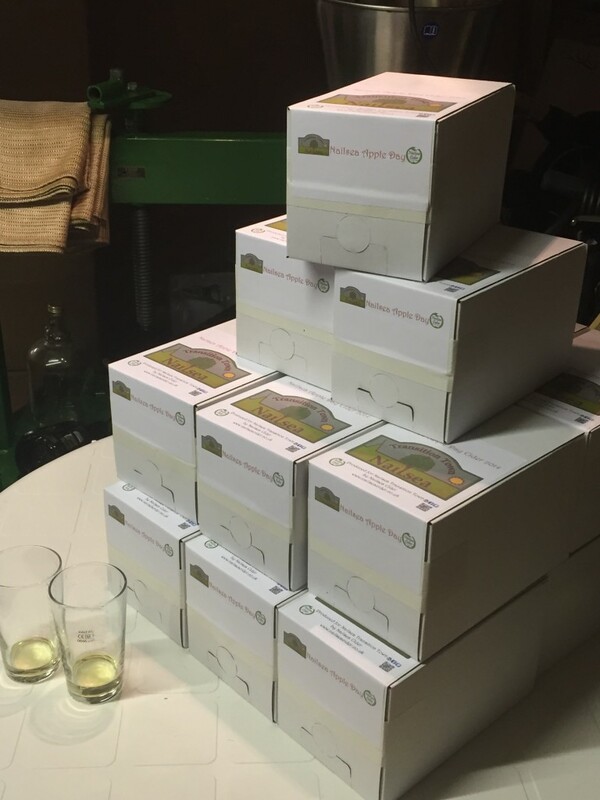 Bottling will be done this year by Bradley’s out at Hewish. 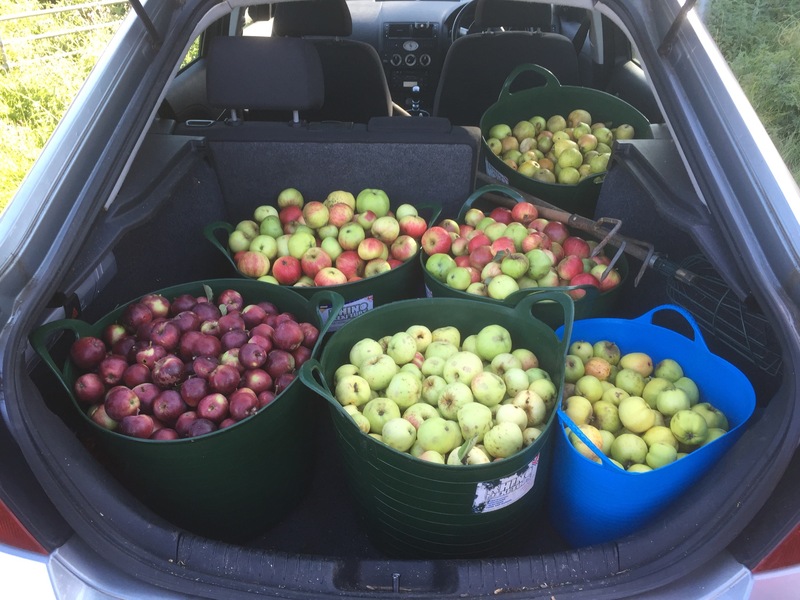 Nailsea Transition Town and Nailsea Cider once again teamed up together to bring Nailsea Apple Day 2015 to the good folk of Nailsea. 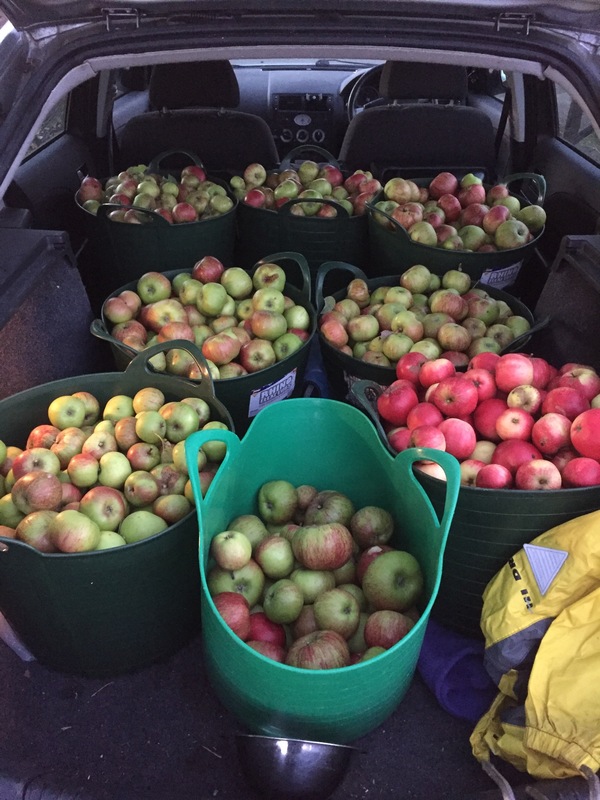 Between 1pm and 4pm (well, 5pm really) we pressed apples from all comers, and also some that had been collected by the Transition Group. 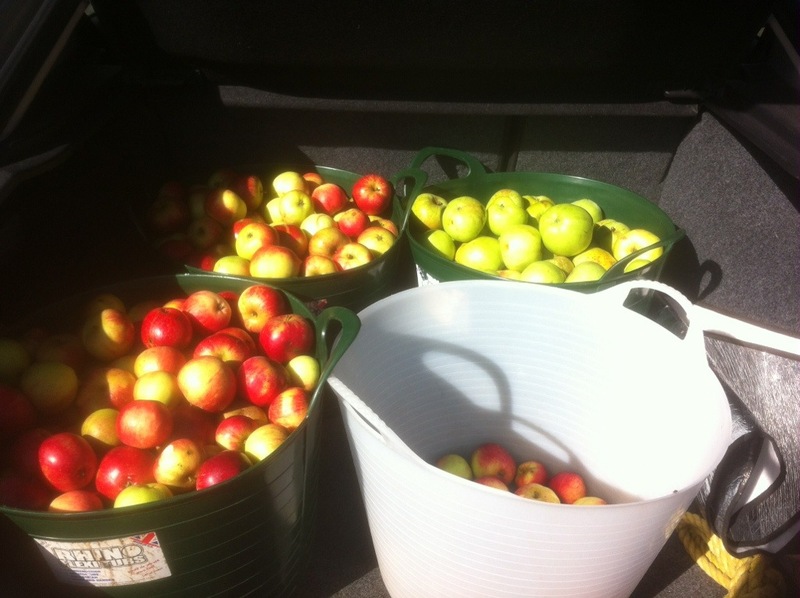 People brought along their own apples, we pressed them, and they took away the juice (or some of it). There was also Coffee and Apple Cakes available and some Live music provided by Dave Francis. 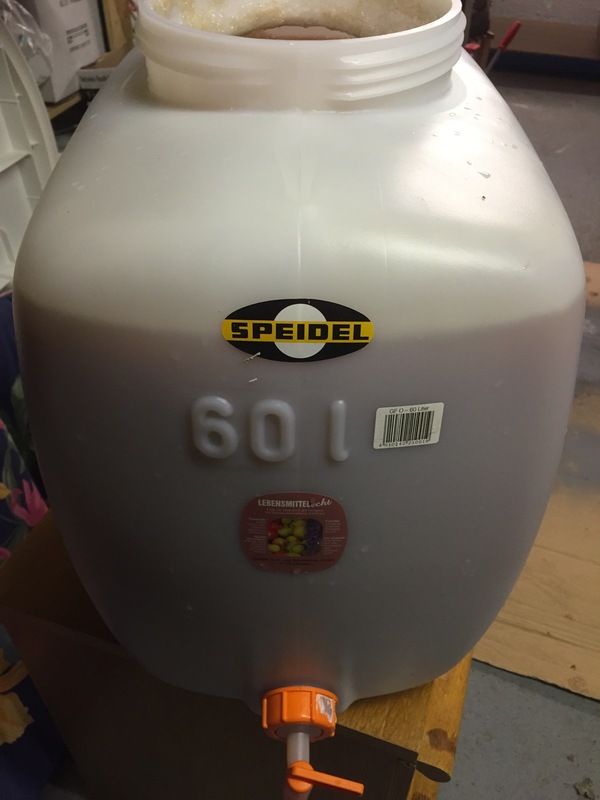 We had made cider from last year’s pressing which was available to buy by the glass, and could also be bought in 3l Bag in Boxes just along the road at our friends at the Ring o’ Bells. 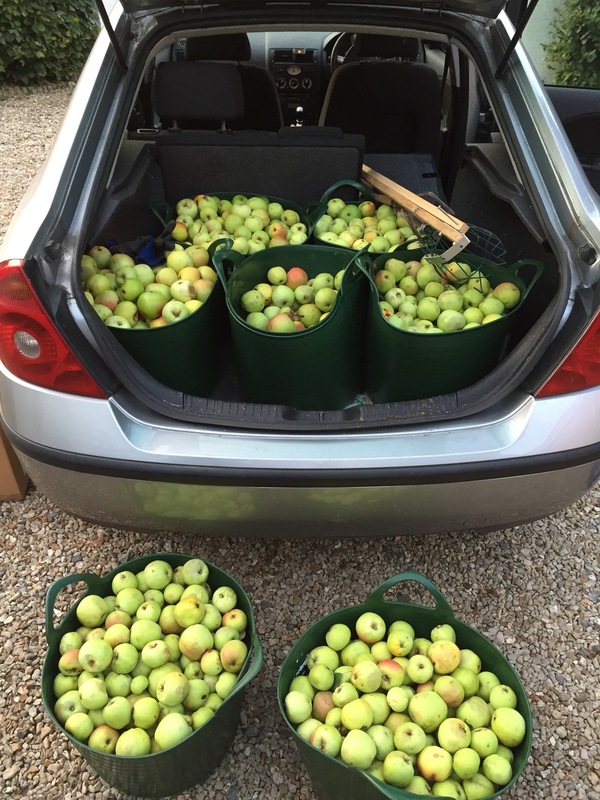 We’re very excited that several varieties of old cider apples were picked up from Charlton Farm, where the Childrens’ Hospice are. A good day, and all in all we pressed over 200ltrs of juice. 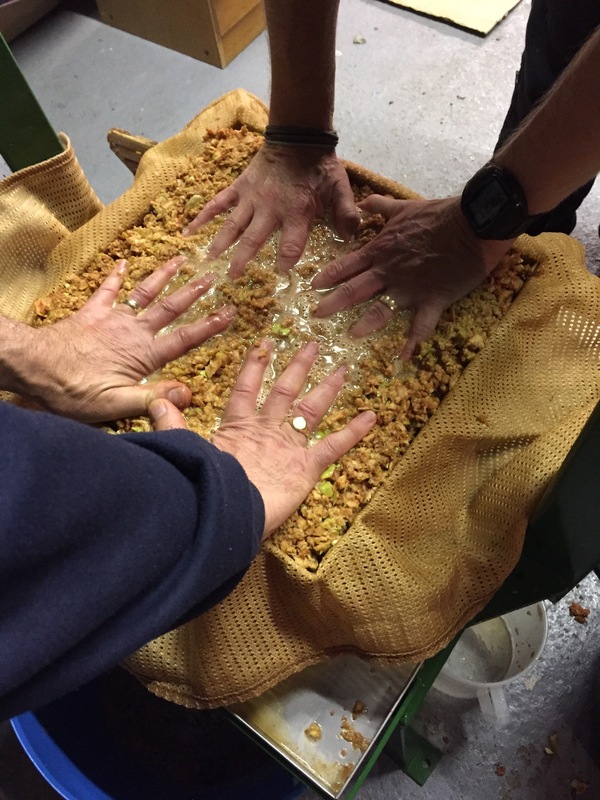 Pressing apples is not so straight forward as pressing, say, grapes. You get grapes, squash them in a press and juice comes out. Apples have attitude. 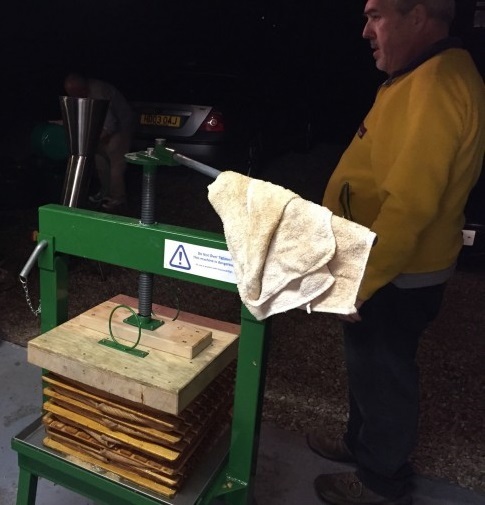 You take a kilo of apples, shove them in the press and squash them, you’ll get a kilo of bruised and battered apples but little juice. Had a call from Steve. 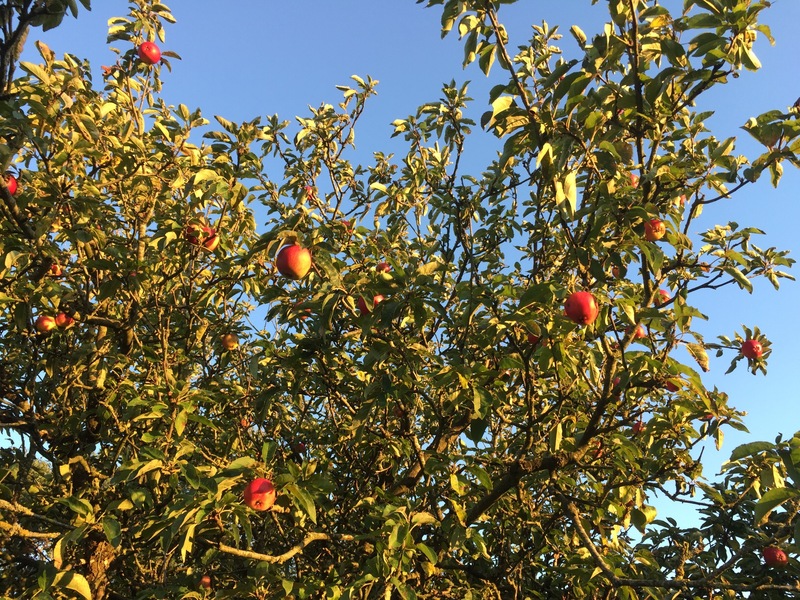 He has trees that are laden with apples and they just fall. 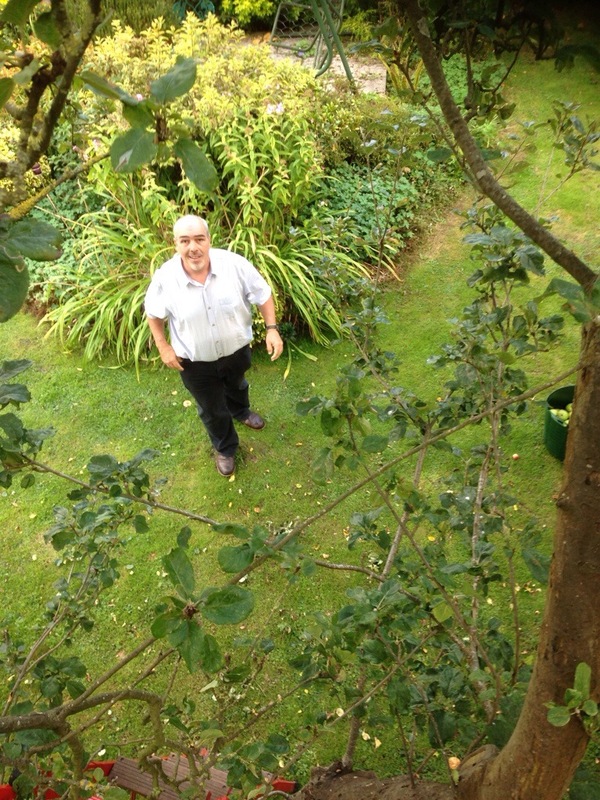 Time to go and rescue them.